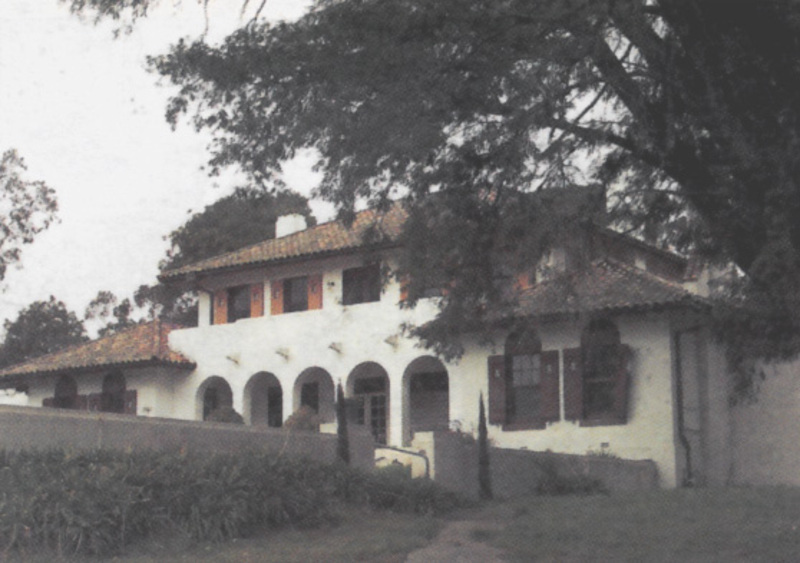 Pinehill was the Frankston home of Viscount Bruce of Melbourne P C, C H, MC, C de G, B A (Cantab), Barrister at Law, Prime Minister of Australia 1923-29, High Commissioner and Australian representative at the League of Nations and first Chancellor of the Australian National Uninversity. It was designed by the Sydney Architects Prevost, Synnot and Rewald and was built in 1926 under the supervision of Robert Bell Hamilton, Architect. When in Viscount Bruce's hands the house stood in some 400 acres with extensive stands of wattle and pine trees. Pinehill is a large two-storey house with one-storey wings flanking a courtyard, all styled in the Hollywood Spanish Mission manner and with arcaded terraces and verandahs. The decorative work has traces of Art Nouveau 'gum-nut' detailing but is very much in the character of the times with timber wall panelling contrasted with textured white plaster, exposed timber beams etc. The house is significant as the home of the most dominant figure in Australian politics in the 1920's, a man who bacame a distinguished counsellor to leading statesmen of other nations, a most illustrious Australian. It is an example of the new house planning that developed during the inter-war period permitting great comfort and privacy for the occupants without the use of a large domestic staff. It is an early example of the integration of the motor garage into the planning form. Stylistically the house demonstrates the new romantic regard for sun and shadow with its links with the Mediterranean via Beverly Hills. The house is substantially intact but the land has been reduced to so small an allotment that the house is now visibly diminished.